Mamma gave her a confused look which concealed suppressed sadness of her inability to keep her engaged, before nodding yes for her child’s happiness. Years later, as she nodded yes to her child, she wished she knew that then what she knew now, the truth of how much the innocence of a child could hurt the pride of the motherhood…. 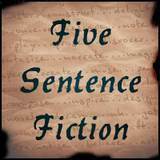 Linking in to Write Tribe Saturday prompt and Five sentence Fiction by Lillie McFerrin. So so true! I actually go through this on a daily basis. It is so so so difficult to *not feel* it. Loved that slice of life Archana. It happens to all of us all the time. Happens more often than we like to admit. That twinge of sadness can be palpably strong at times. Enjoyed this one, Archana. Very well captured, Archana on changing equations between parents and kids. hmmm isnt it, seems to be story of my life only if I knew then what i know now ..